Save The Former Western Military Academy Campus: The Shades of Blue Brass Quintet from the United States Air Force Band of Mid-America is going to play at the W.M.A. Monument Dedication starting at 9:30 on May 25th. 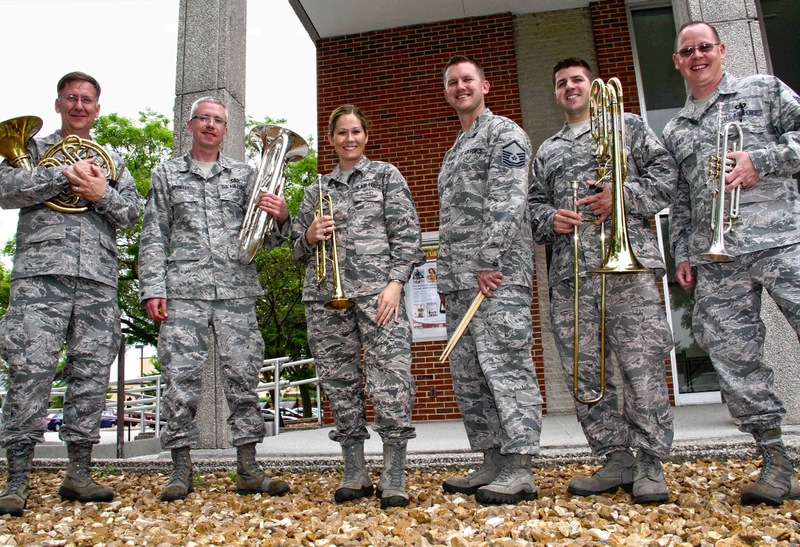 The Shades of Blue Brass Quintet from the United States Air Force Band of Mid-America is going to play at the W.M.A. Monument Dedication starting at 9:30 on May 25th. 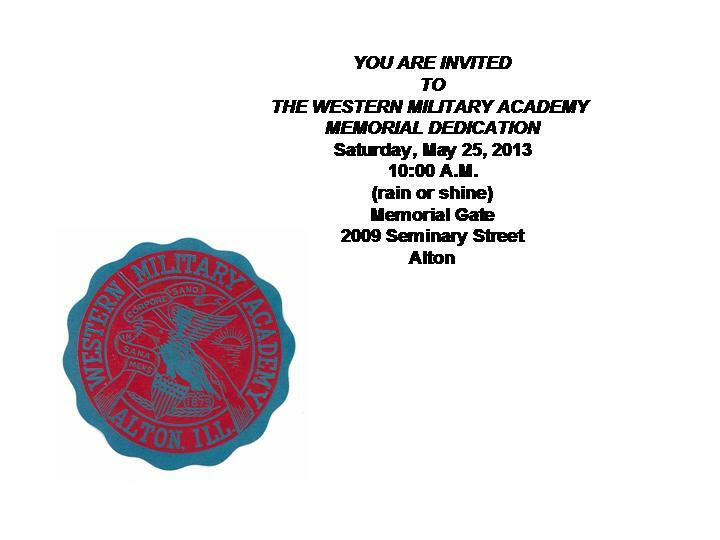 WMA Memorial Project, c/o Duke Bakery, 819 Henry St., Alton, IL 62002. For more information, call Mike Doucleff at (618) 465-8012 or CB Jackson at (618) 531-6924.